While I was downstate this past weekend, I checked out the Bear Mountain Oktoberfest. First time going, and it wasn't bad. My sister and her boyfriend have been there before and came prepared with an extra stein so I could partake in large amounts of beer consumption. I'm not sure how much beer those steins hold... 2 or 3 pints? Started with an Oktoberfest, and then a wheat beer. Both pretty good, but more in one day than I've had since my trip to Belgium. You have to pay for parking ($10) which I suppose you can also consider your entrance fee. 16 oz. beers are $7; steins (w/ first fill) are $28; refills $14. I was considering buying a stein for my own, but I'll probably be in Germany in the spring. I'll just wait and get a legit one, along with a ginormous pretzel. Food is typical for an Oktoberfest - schnitzel, bratwurt/knockwurst, spatzle, reg cabbage, potato salad, pretzels, waffles, and more. The menu, with prices, can be found here. There are also a handful of vendors, so bring plenty of cash because that's all they take (except for the beer and food tents). If you want to work off all food and beer, I believe there are a few trails you can hit up and enjoy the natural splendor. 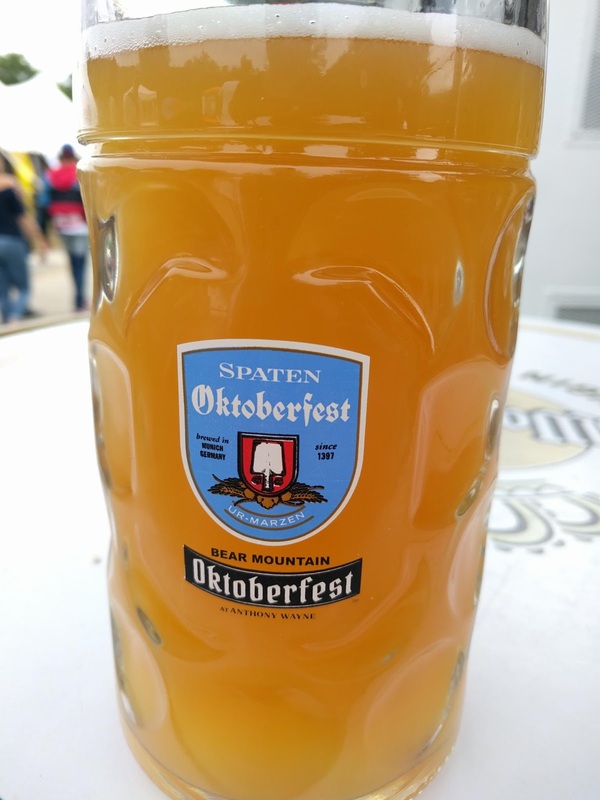 Oktoberfest runs every weekend until October 28th.